A parliamentary report of 1777 recorded a parish workhouse in operation in "Wotton Underidge" with accommodation for up to 50 inmates. 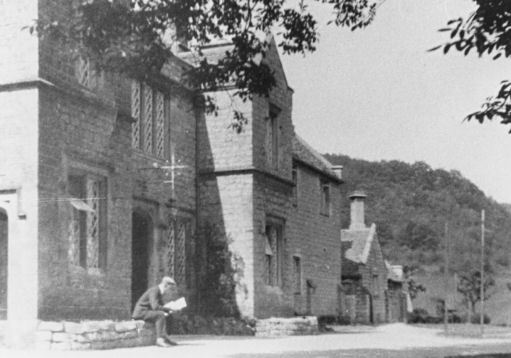 There were also parish workhouses at Cam, Kingswood, Slimbridge, Uley, and — reputedly having the worst conditions of them all — Dursley itself. 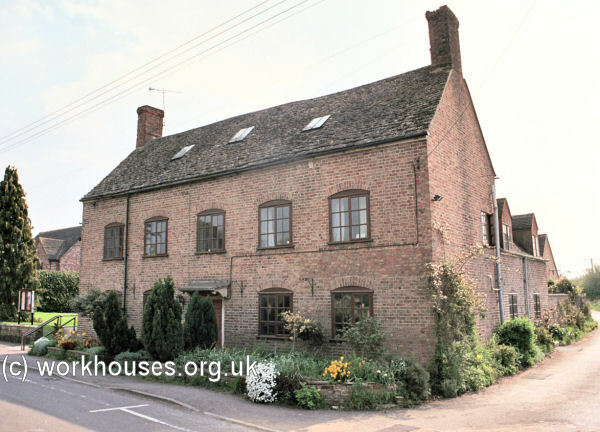 A house on Hopton Road in Cam is thought to have been used as a workhouse in the nineteenth century. A building, now known as Church House, at Churchend was the Slimbridge parish workhouse in 1781. County of Gloucester: Cam (2), Coaley, Dursley (3), North Nibley (2), Nymphsfield [Nympsfield], Owlpen, Stinchcombe, Slimbridge, Uley (2), Wotton-under-Edge (4). County of Wiltshire: Kingswood (2). The population falling within the union at the 1831 census had been 19,518 with parishes ranging in size from Owlpen (population 255) to Dursley itself (3,226). The average annual poor-rate expenditure for the period 1833-35 had been £10,931 or 11s.2d. per head of the population. 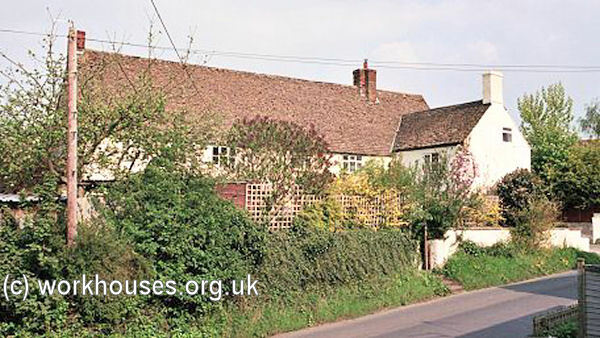 The new Dursley Union workhouse was built in Dursley in 1838-9 at the south-west of the town. 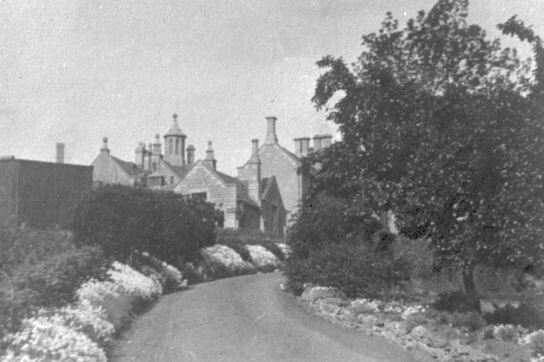 Prior to its opening, former parish workhouses at Kingswood and Uley were retained in use by the union. 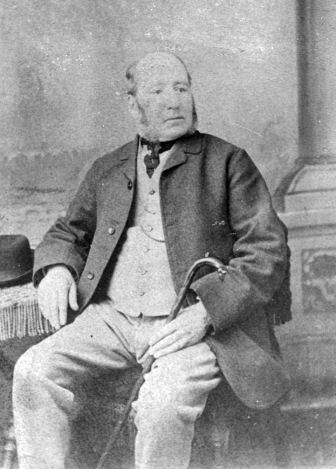 The new workhouse was designed by Mr Fulljames who was also the architect of the Wheatenhurst Union workhouse. His design for Dursley was a variation on the model "square" plan by Sampson Kempthorne published by the Poor Law Commissioners in 1835. Stone for constructing the workhouse was taken from a quarry in the woods near to the site. The workhouse location and layout are shown on the 1901 map below. 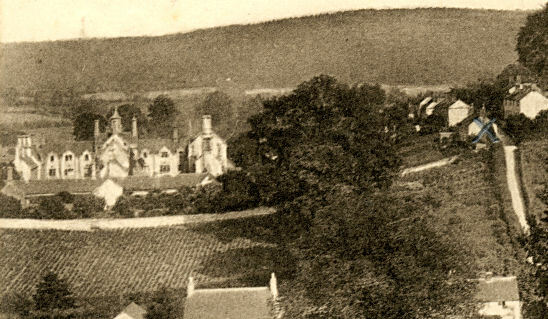 Dursley workhouse from the west. Dursley workhouse entrance driveway from the east. Dursley workhouse entrance from the north. Dursley workhouse entrance from the east. 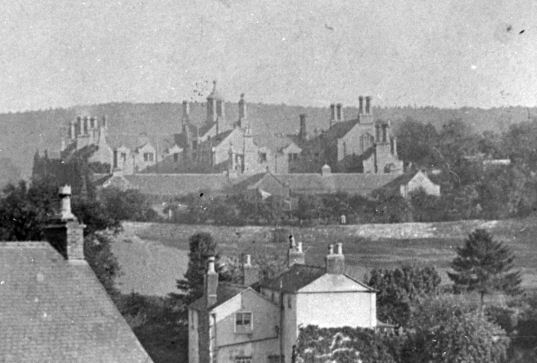 Dursley workhouse from the north. By 1892, when the Master of the workhouse was a Mr Sellick, there were 110 permanent inmates, though only 9 were women. In the same year, the position of resident workhouse cook was advertised at 7s. per week working 4.30am until 8.30pm! In the early twentieth century, the main inmates appear to have been widows or women whose husbands could not work. Many unmarried pregnant women also went to the workhouse to give birth, with many of the babies not surviving. It is said that such children were buried in unmarked graves in the hedges alongside the local church. Vagrants used Dursley at part of a circuit which included Thornbury and Tetbury. The workhouse closed in the 1930s but was apparently used during the Second World War to house evacuees under the charge of the former Master, Mr Wilson. 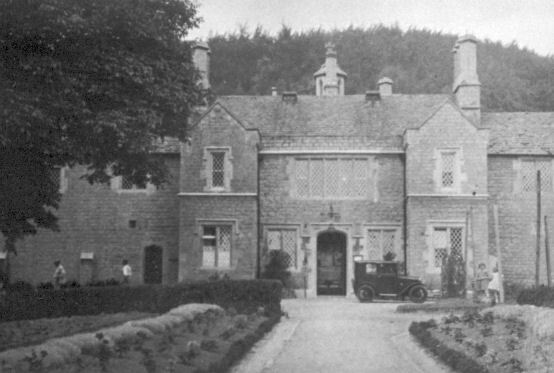 The building was demolished soon after the war. Gloucestershire Archives, Clarence Row, Alvin Street, Gloucester GL1 3DW. Holdings include Guardians' minute books (1836-1933); Births (1866-1920); Deaths (1866-1920); etc. Thanks to Laura Baker for information on Dursley and to Andrew Barton for the vintage photographs.